The centennial of the influential Plan of Chicago will be celebrated in 2009. Designed by Daniel Burnham, co-authored by Edward Bennett and produced in collaboration with the Commercial Club of Chicago, the forward-thinking plan proposed many of the city's most distinctive features, including its lakefront parks and roadways, the Magnificent Mile, and Navy Pier. As a result, by the time he died in 1912, Burnham was one of the most famous architects in America as well as an internationally renowned city planner. Thomas S. Hines' book is at once both a biography of Burnham and a vivid portrait of the birth and growth of an American city. 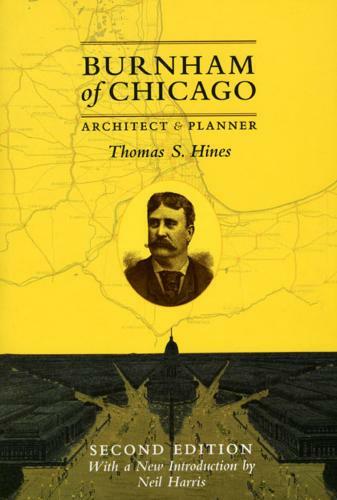 In commemoration of the historic anniversary of Burnham's Plan, this edition of "Burnham of Chicago" includes a new introduction by historian Neil Harris.